Respite Fife is a small local charity providing short break respite care to adults with learning difficulties in ordinary domestic housing. Respite is provided within two bungalows in Kirkcaldy and two ground floor flats in Kinglassie. It was formed by a group of parents in 1985. Initially they ran as a self-help group until funding was granted by the Unemployed Voluntary Action Fund to provide short weekend respite breaks in Kirkcaldy in ordinary domestic housing, rented from Fife Council. After the first three years, core funding was provided by Fife Council and Fife Health Board. Until 1997 the Service Manager was the only paid employee, assisted by a team of volunteers, who provided companionship and support to service users, both within the two respite care houses and out in the local community. A large injection of local government funding allowed Respite Fife to expand their respite service into Glenrothes and to increase their service provision in both areas to include mid-week and seven-day periods of respite. This expansion allowed for the employment of full-time Social Care Workers and a Locality Manager to run the Glenrothes development. 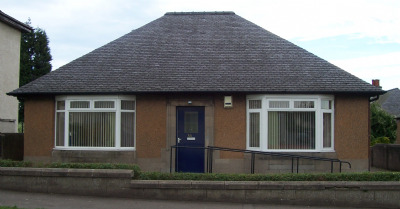 In November 2007, due to the proposed demolition of the flats in Glenrothes, the respite service moved from Glenrothes to Kinglassie. The Service Manager continues to manage the Kirkcaldy houses on a day-to-day basis and also oversees the management of the flats in Kinglassie. Respite Fife's Management Board has overall responsibility to ensure that, amongst other things, the funding received by Respite Fife is used appropriately. The Management Board consists of representatives from our parents/carers, Service Users, Fife Social Work and NHS Fife. An elected member of Fife Council is also appointed to the Board each year. We have held the Investor in People award since 2004, our most recent assessment was in June 2013.